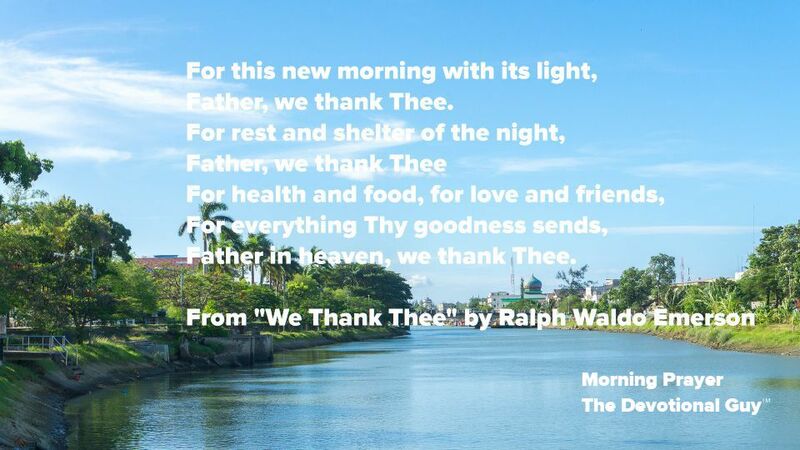 Do you approach each new day with a thankful heart? I know that it is easy to focus on the negative and lose sight of the positive that is happening in our life. It seems like we are surrounded by bad news. Everywhere you turn, all you hear is shouting, screaming, and tantrums wrought on us by grownups who aren’t getting their way. But amid all the noise and confusion is a God who loves you and has a plan for you. There is a lot of good and a ton of beauty in the world. We must fight not get distracted by all the ugly and incivility. We should take the time to look up from our screens and see the people and the world around us. You’ll see phenomenal things happening all around you if you make an effort to look. May the peace of the Lord be with you today. Father in heaven, we thank Thee.